@martinayotte I am not asking for CPU bitness. I am asking if these OSes images are 64-bit! I am asking if these OSes images are 64-bit! Armbian images are always native kernel along with all packages, so if CPU is 64 bits, all the OS is 64 bits ! @martinayotte I am not asking about Armbian. I am asking about the mentioned OSes. I have Armbian on armv7l and it is 32-bit. At least provided binaries are 32-bit. I ask about bitness of the provided OSes for Rock Pi 4. There is no Armbian for this board. I am asking about the mentioned OSes. The radxa people is working on Armbian support for this board. I think it will be soon to have Armbian on ROCK Pi 4. My Rock Pi 4B arrived today. I'm impressed by it. Very well designed. Only bad point I've found until now is that the power LED is too bright. Everything I've tested until now seems to work. On-board audio is no problem and very stable voltage on the USB ports. Some things the M4 does a bit less. For who's interested here's my data until now. Hi all. I've finished my review video about the RockPi 4B. There is a first Armbian image available. 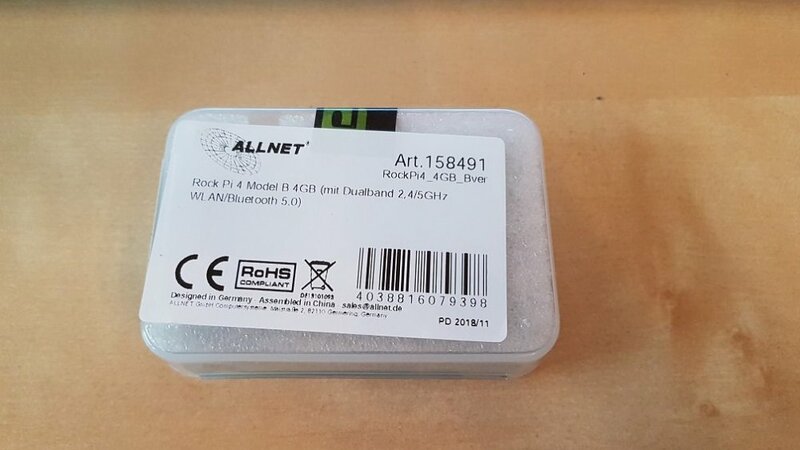 My Rock Pi 4 B 4GB just arrived. Unluckily I don't have PSU for it yet. 7z b: 1.609 more total MIPS than RPi 3B+ with fan. Don't use it without a heatsink/fan. The throttling isn't set right in any of the OS'es. It only throttles the big cores, and so the temperature keeps rising. I bet without a heatsink it will rise quicker and higher. Maybe to +100°C. I told them, and they're working on it, I don't think it's fixed yet. Just wanted to let you know before you cook it. Here you see what happens. But it is an awesome board tho. I love it even more than my NanoPi M4. I'm testing images for them now, RecalBox is awesome. I made a video about it, but I've got to wait to release until they'll release the image. They seem to put a lot of energy in software. So there it beats all the others. And it's Raspberry compatible with a lot of things. So it could become a very well selled board. @NicoD I will need to order heatsink. For now it is just a test board. I'll try not to heat it too much. @Dante4 unfortunately there are some countries which they are not shipping to. Poland is one of them. Well, to be precise to whole EU (UK is not part of EU for them now). For EU there are special distributors, but that such pain to deal with them (one require special account to be able to order and other cost just huge), so maybe it will be simplier (and cheapier) to use some trustworthy man-in-the-middle outside of EU. 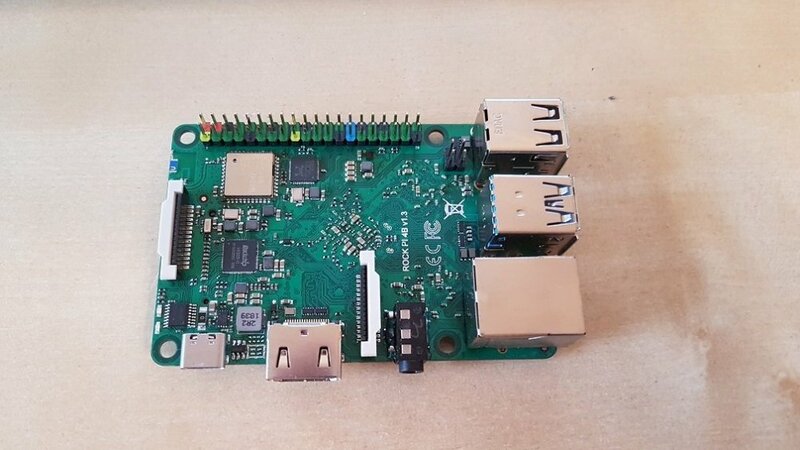 I bought here https://pishop.at/index.php/single-board-computer/rock-pi-4-model-b-4gb-detail with overall price (with shipment) €114.78 (504.44 PLN). I am using Armbian system provided by radxa, not the nightly build downloaded from armbian directly, with mainline kernel 4.4. But the gpu performance seems to be quite slow. The whole ui and web browsing has a low fps. I've triet to build panfrost driver for mali gpu but it didn't help. Do you guys use some other gpu driver or are you ok with the performance? 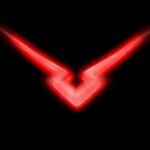 Do you guys use some other gpu driver or are you ok with the performance? I've tried Armbian Bionic (same as Armbian Stretch) nightly builds before, but I had no Wifi and max resolution was 1920x1080 (I have 2k monitor). Plus I did not see mali0 under /dev. So I thought there's missing mali driver. JMCC, what did you mean Armbian Bionic Default image? I've found only nightly builds working with kernel 4.2, updating kernel to 4.4 caused boot failure. So I did not find a way how to get armbian bionic working with 4.4 kernel. 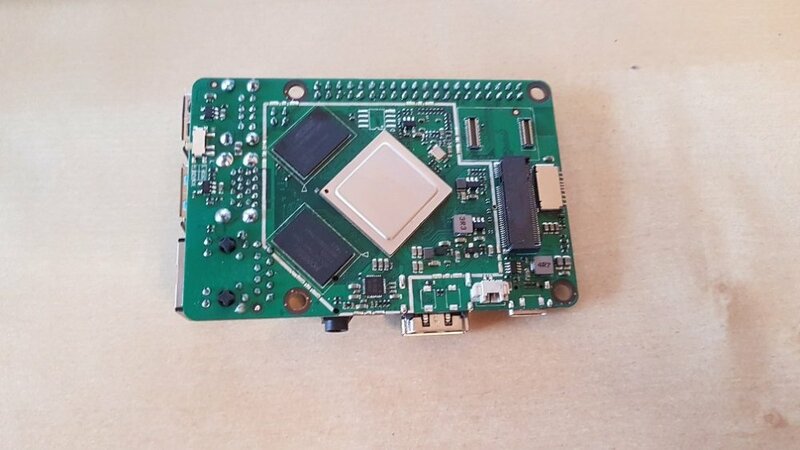 could someone help me to take uart0, 1, 3.